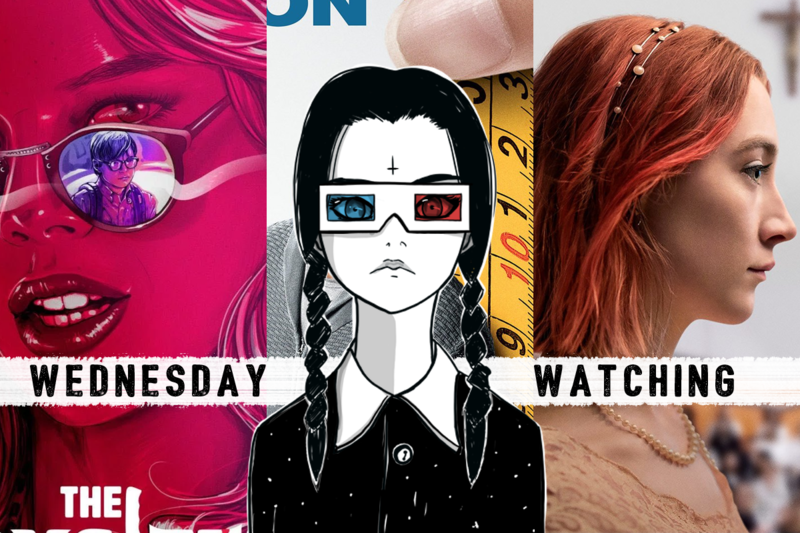 And just like that, it’s my second addition of Wednesday Watching! If you read my new years resolutions, you’ll know one of my pledges was to record every single movie I watched this year and I’ve been using site Letterboxd to write mini reviews (you can follow me here!). As I’d expected I would, I’ve been watching a tonne of movies, but haven’t actually been recording them, ugh. WHYYYY. Anyway, the main thing is, I’ve picked another three for this month that I want to chat about. As with all of these posts, I’ve split them into three categories, ‘The Hollywood’ – a film of the moment, ‘The Horrific’ – one that you may potentially dislike (if you have the same taste as me!) and a ‘Hidden Gem’, a movie you might not have considered. 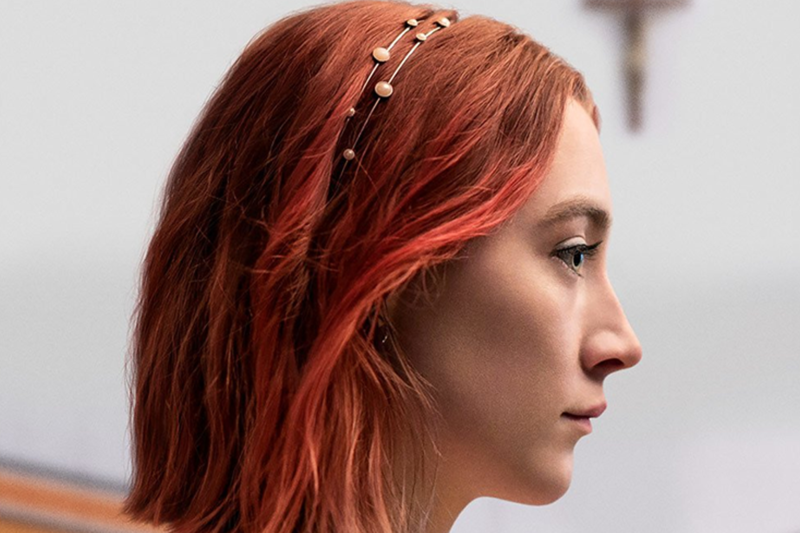 I don’t think I’ve ever experienced a movie quite like Lady Bird, and I’m saying experienced as oppose to watched, because it felt like a mini journey. Sitting snuggly in the ‘coming-of-age’ category, you wouldn’t be wrong for thinking this over-saturated genre doesn’t really need another movie about a teen girl who isn’t happy with her current situation. What made this movie so perfect, was it’s connection to real life. It’s rawness without being too raw, it’s issues that were within reach of everyone’s realities, and it’s humour; cutting in places, but still retaining charm. Place Lady Bird next to some of it’s modern counterparts, and you’ll watch them fall away. Juno: too niche of a story, Perks of being a Wallflower: too stilted… Saoirse Ronan captivates from start to finish. So how can something so normal, so relatable, be so fresh and never-seen-before? Director Greta Gerwig does a stellar job of setting the scene; one of a catholic schoolgirl living in Sacremento, California, yearning for more. Who knew I had been waiting all this time for a Jennifer’s Body-meets-Scott Pilgrim type situation?! 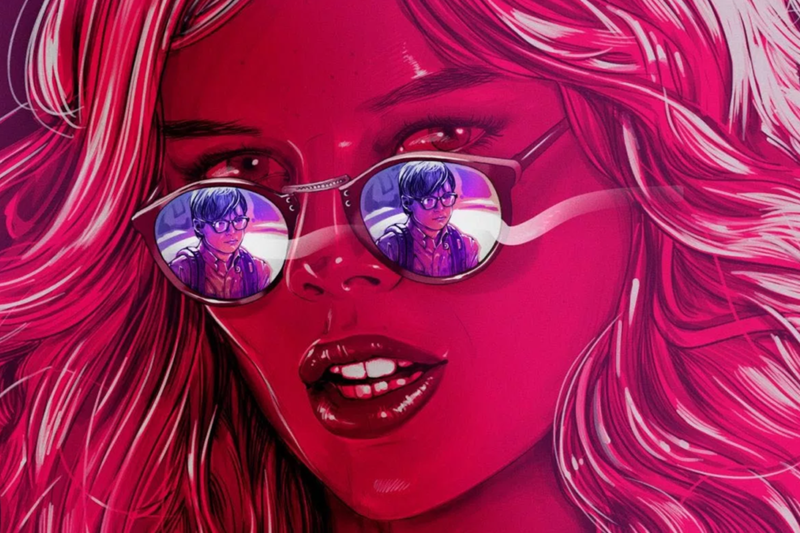 I’d initially skipped over The Babysitter when I saw it land on Netflix, purely because I’m bored of seeing skinny girls in what seemed like superficial slasher flicks, but I reluctantly settled down to watch this after Kayle stuck it on. What I loved most, was the shock value. The blase blood and gore, the black humour and the farcical way fear was thrown around. The Babysitter tells the story of Cole, a pre-teen who has his babysitter looking after him while his parents are away. Said babysitter, a hot young thang, actually turns out to be a satanic cult member and a rollercoaster ride of ridiculousness ensues. How many times must there be a new movie idea that’s so brilliant in theory, but is so poorly executed that it makes you ponder HOW they were allowed to waste the idea in the first place?! I know, some pretty strong views there, but it really summed up some repetitive thoughts that kept coming to mind whilst watching Downsizing. 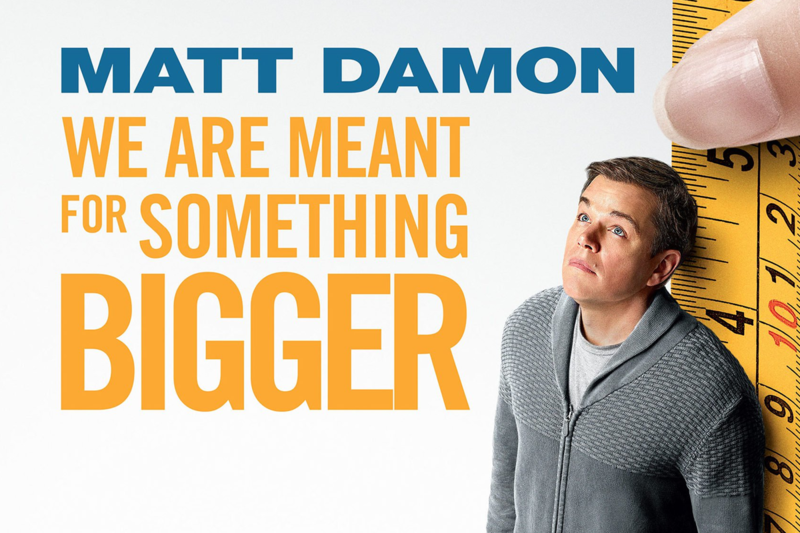 You’d definitely be forgiven for thinking this movie would HAVE at least a little bit of credibility, given it’s original storyline and a cast that consists of Christoph Waltz, Kristen Wiig and Matt Damon. Unfortunately this just isn’t the case, I mean, I’m hoping the protagonists signed their contracts BEFORE reading the script and got tripped up, but I fear this didn’t happen. Downsizing, is simply put, a mess. It’s humour isn’t humourous, and a story that was originally meant to be charming ends up being a half-strung-together message on how man is impacting the earth…Drilling down deeper into this disastrous movie, I found out that it was in fact based on a television series that was (you guessed it) cancelled mid-way through. The movie seems to be a mishmash of several elements of those episodes, maybe accounting for why it’s so hard to decipher what actually motivates Matt Damon’s character. Next Post I’m in Blogosphere Magazine! Yeah totally give Downsizing a miss haha! Lady Bird is so awesome, I definitely recommend- hope you enjoy it Madi! Which new one with Matt Damon? Suburbicon? Yah loved The Babysitter and Lady Bird is sooo magical I loved it. I can’t wait to see the Avengers ahhh! Amazing post, Maria! 🙂 I just have to ask if these movies are all on Netflix, I just got my membership back & I’m itching to watch new movies from there. Your thoughts about the movies are awesome! You could pass as a movie critique! xo, Mary.